Today is Pinterest Day for the Babywise Friendly Blog Network and we are writing about anything to do with "Summer". Did you know there is a whole Pinterest board with a wealth of posts with ideas about so many things!! Check it out here and look for posts from the other ladies today on the "Summertime" board. This shouldn't come as a surprise to anyone who knows me... I like my routine!!! I think keeping up routines in the Summer can be a life-saver! 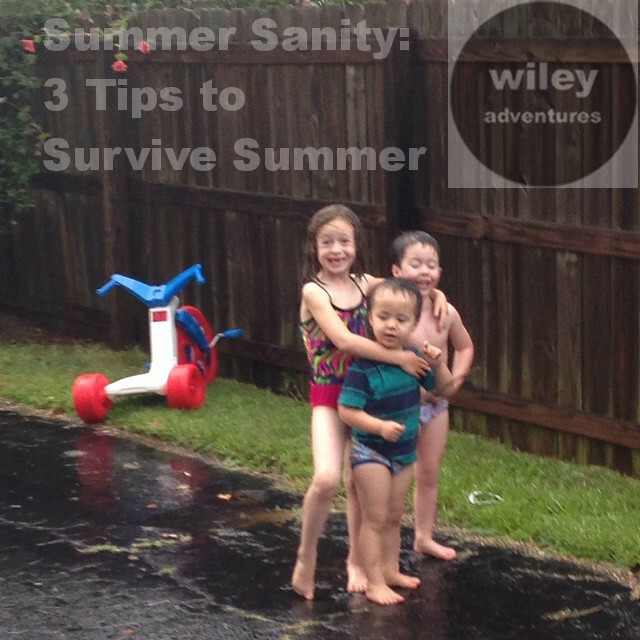 Routines obviously change once school is out, but I think setting a "Summer Routine" early in the season and sticking to it can really help bring continuity to the long Summer days. Without a solid routine, the days can run together. It doesn't have to be a strict, school-like schedule, but simply a few things in your day to help break up boredom and prevent all day tv binges. Some things I include in our Summer routine are: Outside play, sibling play, family movie nights, room time, and outings like library time and visiting Daddy at his office. Make sure and leave room for extra fun things in your routine. I firmly believe that Summer should feel like Summer! Things that you don't have time to do during the school year, should become more of a priority during the Summer. Check around your community for free things happening for kids. Most public libraries will have Summer reading programs and other events for Summer. Neighborhood and Community pools often have events and Summer teams. This is also the perfect time to pursue fun projects. For example, this Summer we are having a Family Science Fair (Boys vs. Girls). Or, you could also make Birthday cards for family members for the rest of the year. This is something I struggle with all year long. I say "no" more often than I say "yes". I don't want there to be a mess. It means more work on my part, or its something that might result in a tantrum. The other night, we had a pleasant Summer rain shower in the evening and my kids ran up to me and asked if they could play in the rain. All the of the reasons it was a bad idea raced through my head but I didn't have a solid read to say no. Yes, they would get wet, but we have towels. They played and played and played and were SO. HAPPY. In the end, the mess was not even a big deal and we created a memory filled with joy. So, unless there is a really solid reason to say "no", I'm make a serious effort to say "yes" whenever I can.